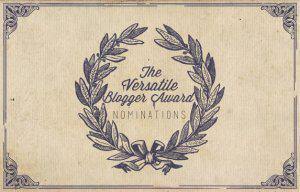 The second nomination comes from Kristy over at the very interesting-to-read blog Family, Friends and Everything in Between for the Bouquet of Three Award(s)! 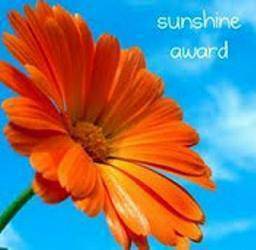 The Best Moment Award, The Versatile Blogger Award and The Sunshine Award! Well here we are at the part I always find the hardest, that being the part where I have to actually choose my own nominations! Now I have been known to cheat a little bit when it comes to these awards, no one said I was perfect, and so I think this particular post would feel a little left out if I didn’t cheat just a little bit on this one as well. 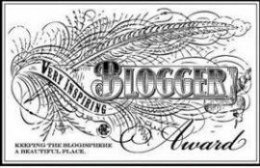 Rather than nominate 15 for the Very Inspiring Blogger Award and then another 15 for The Bouquet Of Three Award(s) I think I will do 8 for the VIBA and 7 for the BOTA(s)! Sounds good to me! Here goes. *Phew* Done and done. If you have the time, or even if you don’t find it! And go have a peek through these blogs. All very deserving of their nominations and I always look forward to reading their posts. One last thank-you-thank-you to An exhausted Mom and Kristy for your nominations, I am always so excited to receive any kind of blogger award, it helps keep up my hopes of one day becoming rich and famous… OK well more like it just feels wonderful to be thought of by such brilliant bloggers! Away I fly now, squats awaiting and a vacuum longing for a dance partner. You are so welcome! And yes, you just follow the check list! Thank you as well 😀 I am so glad you enjoy my blog! Thank you!!! Here is the link to my acceptance post! Thanks, Becky! After a whirlwind weekend (and massive allergies that have nearly killed me), I’m finally getting around to checking this all out. 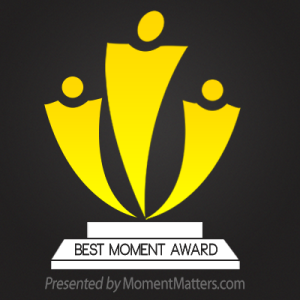 Thanks a million for the nomination! I’m honored. 🙂 PS – I’m very impressed you get makeup on and get all fancy for the grocery store. Usually the only fixing upping that happens for me is a) if I have a client meeting and need to actually smell/look clean or b) if my hair and face are such a disaster that I need to throw a hat on to hide beneath. So, well done! Great! Can’t wait to read a response 🙂 and yes the squat challenge… oh boy… it certainly is getting tough! Truckload of thanks! I hope you know that you just made my day! I just woke up (It’s 8o’clock in the morning where I’m from) and I’m sitting in this third-world front yard sipping my coffee and found out that I just got my first blog nomination EVER!!! Needless to say, Mother’s Day for me just got a REALLY great start! SO glad you accept and you are very welcome 😀 can’t wait to read a response post! Hope you have a wonderful mothers day! ROLFING on how you are reducing your chip intake!!! Yeah. Been there, done that. Have not put sugar on those, sort of like a kettle corn thing happening. It is just like kettle corn…. or at least you get the same sort of flavors, you have to try it, it is delicious! And you too!! Congrats!! And your day sounds similar to my life haha! I get excited when I go out grocery shopping, ugh lol. Thank you! And thank you again for the nomination 🙂 and boy I am glad I am not the only one who is excited for grocery shopping lol, I am sure it will lose its appeal as the years go by, but for now I actually look forward to grocery day!